Vermont is one of the best places to do business in the United States according to studies and popular opinion. 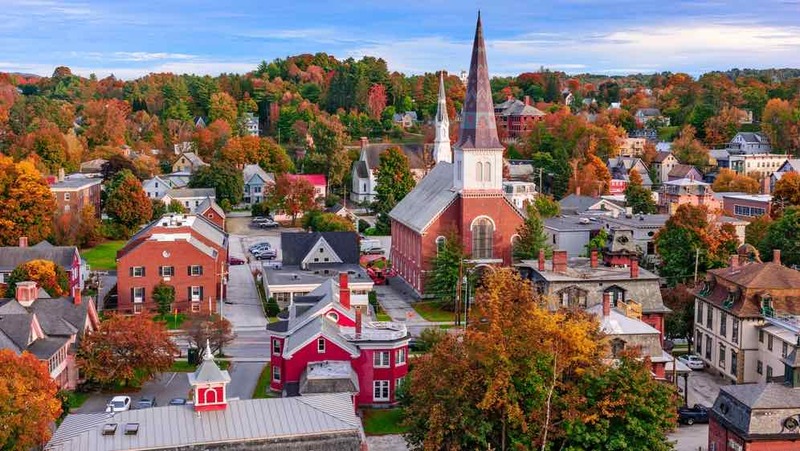 Having claimed the eighth place among the best US States for business survival, Vermont is cut out for great potentials any business-minded person would like to tap. Whether you intend to operate your proposed Vermont business on a small or large scale, this article likely has the information you need to achieve your aim. Meanwhile, this article comes as a step-by-step guide on how you can start a business in Vermont and run it without any glitches. Before you set up a business in Vermont, you’re expected to have deliberated on a suitable business idea. Planning ahead is one great way you can establish a successful business for yourself. Aside from showing the direction your business will follow, planning ensures you’re considering all that your business needs to survive. To appear very professional, you can create a business plan for your Vermont business. Projected revenue and so on. Once you’re certain about the kind of business you wish to ply in Vermont, you may check out some of the online business planning guides relevant to your chosen business. Most of the time, it’s advisable you weigh up the pros and cons of each business entity before you eventually make a choice. LLC could be a suitable option not only because it has suitable tax treatment but also because it is simple to establish and manage. If you’re considering setting up your Vermont business as an LLC, be ready to pay at least $125. It’s always advantageous that you choose a favorable entity in order to avert personal liability in the case of business suit. Meanwhile, LLC is a beneficial option for many of the small businesses out there. To track your business accurately and figure out the exact expenses and profit it accrues, you really need to set up business accounts which should include credit and business bank accounts. Besides the credibility it offers your business, having business accounts is a great way to avoid awkward accounting issues and monitor all your business-related transactions. Tax registration is something you must do if you really want to avoid headaches after getting your business under way. First of all, you may need to register for an EIN as majority of the businesses in Vermont require you to do this. The downsides of not having an EIN (alternatively Tax ID Number) are so great that you won’t be eligible to open any business bank account or employ people to work under you. Also in its federal tax filings, there won’t be any means of identifying your business if it doesn’t have an EIN. In Vermont, some of the taxes you’re expected to apply for are Employee Withholding Tax and Unemployment Insurance Tax particularly if you’ll be employing workers. Also, you’re required to apply for Vermont Sales Tax if your business product is tangible in nature. Permits and licenses come in various types and the types you need in Vermont and several other US States typically depend on your kind of business. If you’re running a restaurant, eatery or similar business units, your permits should cover areas such as signage, building and health. Essentially, find out the necessary permits and licenses for your proposed Vermont business and endeavor to obtain them to avoid legal restrictions at local, State or federal level. Insurance is of course one of the things you shouldn’t ignore for your Vermont business. If you’re establishing an accounting firm (or just any business that involves giving professional advice), do well to have a professional liability policy. While workers compensation insurance is legally required for any Vermont business that will hire employees, it’s also advisable that you obtain a general liability policy for any small business you wish to set afloat in Vermont.